The Treaty on the Final Settlement With Respect to Germany, German: Vertrag über die abschließende Regelung in Bezug auf Deutschland (or the Two Plus Four Agreement, German: Zwei-plus-Vier-Vertrag; short: German Treaty) was negotiated in 1990 between the Federal Republic of Germany and the German Democratic Republic (the eponymous "Two"), and the Four Powers which occupied Germany at the end of World War II in Europe: France, the Soviet Union, the United Kingdom, and the United States. In the treaty the Four Powers renounced all rights they held in Germany, allowing a united Germany to become fully sovereign the following year. Several developments in 1989 and 1990, collectively termed Die Wende and the Peaceful Revolution, led to the fall of the Berlin Wall and the collapse of the SED in the German Democratic Republic (GDR or East Germany). In the March 18, 1990 national election in the GDR an electoral alliance of parties that favored German reunification via article 23 of the Basic Law for the Federal Republic of Germany won a plurality. :229–232:211–214 To achieve unity and full sovereignty, both German states were willing to accept the terms of the Potsdam Agreement that affected Germany. It was then possible for all international parties to negotiate a final settlement. The Treaty on the Final Settlement with Respect to Germany was signed in Moscow, Russia (then in the Soviet Union), on 12 September 1990,:363 and paved the way for German reunification on 3 October 1990. Under the terms of the treaty, the Four Powers renounced all rights they formerly held in Germany, including those regarding the city of Berlin. Upon deposit of the last instrument of ratification, united Germany became fully sovereign on 15 March 1991. Germany undertook to reduce its armed forces to no more than 370,000 personnel, no more than 345,000 of whom were to be in the Army and the Air Force. These limits would commence at the time that the Treaty on Conventional Armed Forces in Europe would enter into force, and the treaty also took note that it was expected that the other participants in the negotiations would "render their contribution to enhancing security and stability in Europe, including measures to limit personnel strengths." Germany also reaffirmed its renunciation of the manufacture, possession of, and control over nuclear, biological, and chemical weapons, and in particular, that the Nuclear Non-Proliferation Treaty would continue to apply in full to the unified Germany (the Federal Republic of Germany). No foreign armed forces, nuclear weapons, or the carriers for nuclear weapons would be stationed or deployed in six states (the area of Berlin and the former East Germany), making them a permanent Nuclear-Weapon-Free Zone. The German Army could deploy conventional weapons systems with nonconventional capabilities, provided that they were equipped and designed for a purely conventional role. Germany also agreed to use military force only in accordance with the United Nations Charter. Another of the treaty's important provisions was Germany's confirmation of the by now internationally recognised border with Poland, and other territorial changes in Germany that had taken place since 1945, preventing any future claims to lost territory east of the Oder-Neisse line (see also Former eastern territories of Germany) which had historically been part of Germany for centuries before 31 December 1937. The treaty defined the territory of a 'united Germany' as being the territory of East Germany, West Germany and Berlin, prohibiting Germany from making any future territorial claims. Germany also agreed to sign a separate treaty with Poland reaffirming the present common border, binding under international law, effectively relinquishing these territories to Poland. This was done on 14 November 1990 with the signing of the German-Polish Border Treaty. Furthermore, the Berlin Republic was required by the treaty to amend its Basic Law so as to be constitutionally prohibited from accepting any application for incorporation into Germany from territories outside the territories of East Germany, West Germany and Berlin. Although the treaty was signed by the western and eastern German states as separate entities, it was also ratified by united Germany (the Federal Republic of Germany) in accordance with the treaty. 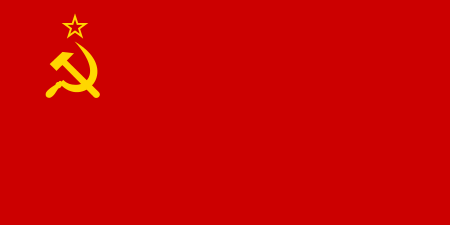 After the Soviet Union dissolved itself in December 1991, the command unit of the Soviet Group of Soviet Forces in Germany devolved to the Russian Federation. 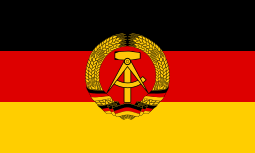 The German government subsequently recognized the Russian Federation's claim to be the successor state of the Soviet Union, including the right to maintain troops in Germany until the end of 1994. However, with post-Soviet Russia facing severe economic hardship, President Boris Yeltsin ordered Russian troop deployment in Germany to be reduced to levels significantly below those permitted in the Treaty. The last Russian troops left Germany at the end of August in 1994, four months before the treaty deadline. In the first decade of the 21st century, the Bundeswehr underwent a gradual transformation to a fully professional force. By 2011, the year Germany voluntarily suspended conscription, the Bundeswehr had retained fewer than 250,000 active duty personnel – barely two thirds of the country's treaty limit of 370,000. The treaty has been alleged to have been violated on a number of occasions. In 2006, German News Information Services argued that "an international lawsuit should be initiated against the development of installations at Leipzig Airport in preparation for service in NATO and EU combat missions". Similarly, manoeuvres including NATO-troops in Trollenhagen, Mecklenburg-Vorpommern in the area of the former East Germany have also been questioned. Under one interpretation of the treaty, only German forces may be deployed in the area of the former East Germany. Many countries believe that Germany's hosting of American nuclear weapons as part of NATO's nuclear weapons sharing program are a violation. Although the weapons are under American control, they can be used by the Bundeswehr during a time of war under agreement, and German pilots and staff practice handling them. It has been argued that this violates Germany's treaty commitments renouncing control over nuclear weapons, as well as the NPT, which the treaty committed Germany to. In September 2007, France offered Germany joint control over its nuclear arsenal, but the Germans rejected this. "The Americans promised that NATO wouldn't move beyond the boundaries of Germany after the Cold War but now half of central and eastern Europe are members, so what happened to their promises? It shows they cannot be trusted." However, in a 2014 interview he stated that the topic of "NATO expansion" was "not discussed at all", nevertheless maintaining that the decision to expand NATO into the east was a "violation of the spirit of the statements and assurances made to us in 1990." In reality, such a commitment was never made; the issue of expanding NATO into Central and Eastern European states wasn't even on the agenda at that time, since all of them were Warsaw Pact members and most still had substantial Soviet combat units stationed on their soil. Many states had outstanding reparations claims against Germany from World War II. German reparations were not paid to most countries, and it was put off while Germany was divided. No reparations were dealt with in this treaty, but it would be claimed that no reparations could be asked for after this treaty. Reparations for World War Two to Greece had been asked for, due to the particularly plunderous Nazi occupation, that had seized control of most businesses, taken away livestock, buses, ambulances and other essential infrastructure. The fact that these claims were unanswered, and no reparations had been paid to Greece were reminded by a bankrupt Greek government in 2015. ↑ "German-American Relations - Treaty on the Final Settlement with Respect to Germany (two plus four)". ↑ Germany, SPIEGEL ONLINE, Hamburg. "Überraschender Vorstoß: Sarkozy bot Deutschland Atomwaffen an". ↑ "Gorbachev: US could start new Cold War". The Daily Telegraph, 6 May 2008. ↑ "Did NATO Promise Not to Enlarge? Gorbachev Says "No" - Brookings Institution". ↑ "NATO EXPANSION: WAS THERE A PROMISE? - JackMatlock.com". ↑ "Greece Nazi occupation: Athens asks Germany for €279bn - BBC News". Wikimedia Commons has media related to Zwei-Plus-Vier-Vertrag.